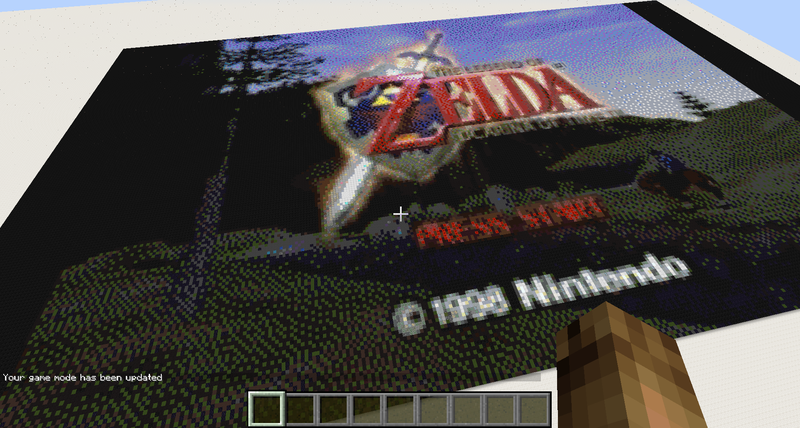 VanZarkStudios could have recreated the Legend of Zelda: Ocarina of Time intro as Machinima by building sets and dressing up a character as link and horse as Epona, but that’s for normal people. 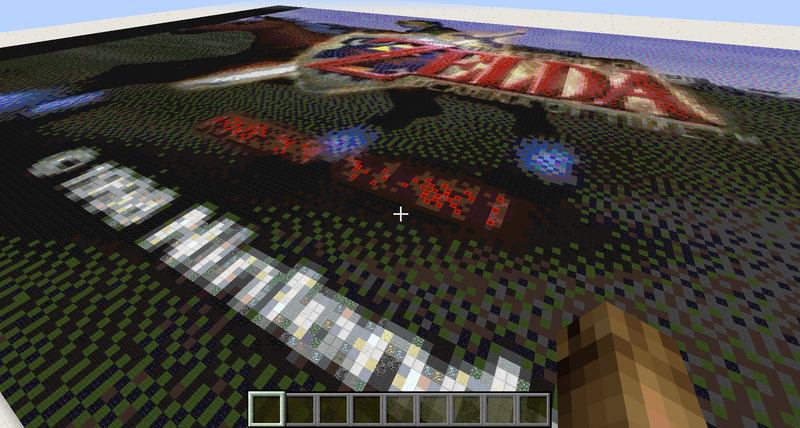 Instead, the choice was made to use blocks to recreated the intro as video. Each “pixel” on the video is a block. The effect looks kind of like the low-res videos you would get on early CD-ROM full-motion-video computer games, but it’s still quite recognizably the intro, right down to the copyright symbol. That’s the claim, anyway, although some are unconvinced. VanZarkStudios explained the process to a doubter. To another disbeliever, VanZarkStudios posted these images of the build in process on Imgur. Still not convinced? VanZarkStudios plans to upload a making of video to show the process.